Theresa's Crafty Creations: For my Friend! simple layout of that sketch! I hope you ALL have a FABULOUS DAY!! Adorable!! Love the bear and puppy! Very sweet card! 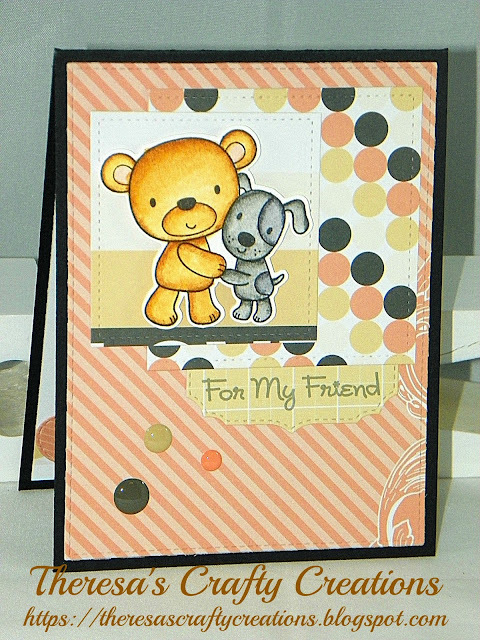 The image is absolutely adorable, I just love that sweet bear and puppy! Gorgeous papers as always! This is just adorable. So so sweet!! This is so adorable!! I love the papers you chose to go with this sweet image! This is so darn cute Theresa! I just love the sweet image puppy and bear. Yes! SUPER sweet my friend! Love the darling image!! Yep your card is super SWEET, cute as image and I really like the papers! This card is super super sweet! I am loving those polka dots! So very adorable!! Love the teddy and dog together!!! This card is soooo ADORABLE!! 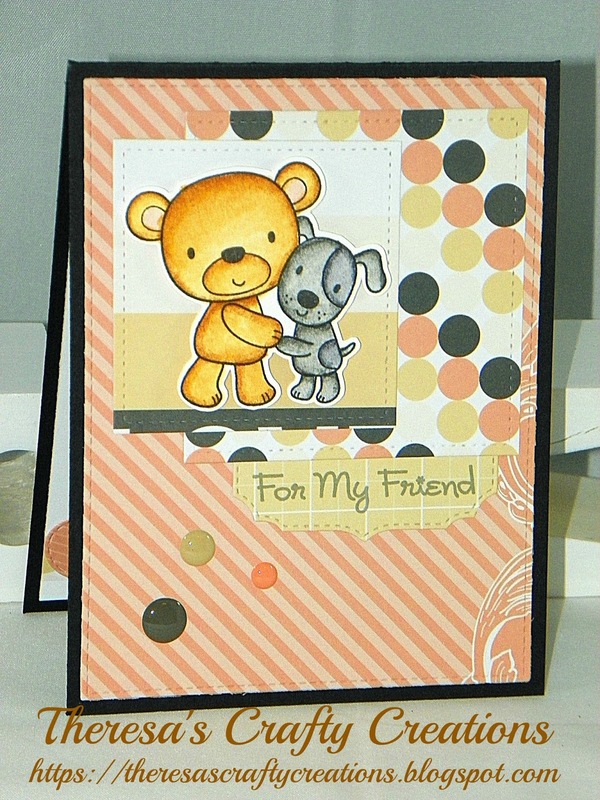 Love that sweet image and the pretty papers you used!! Have a great day. Well...that's cute! Love that image and the colors and papers are perfect! Precious card Theres. Love the papers and all those dots. The images too cute. Love it.